The total of 2018 is 11 which is equal to 2 as per numerology. Number 2 is related with Moon and therefore there is major impact of moon on NEW YEAR 2018. Moon is related with sympathy, fickleness, instability, emotions, dream, journey etc. So if you want to know general things about 2018 year then be ready to control your emotions, dream. This year great changes will be seen in people who have their number 2 as per numerology. This year will be a year of emotional breakthroughs and vast changes worldwide. Great transformation will be seen in cities which are near Sea, Rivers or any other water sources. Do you know which are the friendly numbers of 2 ? There are three numbers which are friendly with number 2 and those are 2, 6 and 4. We can see major changes worldwide in the following month February, april and june 2018. People who have their first letter of name B or K or R may see great positive changes in 2018. Heavy rain fall may be seen in place near sea, rivers. There may be chance of flood in many places due to impact of Moon. People who have their life path number 2, 6 or 4 may get good changes in life but due to business in life it is possible that health and relations may suffer. It is also necessary to keep control on thoughts otherwise you may face problem in implementation of ideas at right time. This year is very good for POETS, ARTISTS, WRITERS, ORETORS etc. because due to impact of moon these people can imagine better. If moon is in good state in HOROSCOPE TOO then no doubt this year 2018 may give life changing experience. There may be increase in expenditure so do control it otherwise financial matter may disturb the life. This year is the year of LOVE, Lovers can enjoy this year in a better way with their beloved. Bachelors with numbers 2, 11, 4, 6, 20, may get there life partners this year and also able to live there dream life. Those people who have good power of moon in there horoscope may enjoy journey this year. Best direction for this year is North-West. Lucky metal for 2018 is Silver. It is good to take care of diet otherwise there is a chance of digestion problem, cholera and water related diseases. To avoid disadvantages of fickle mind do start meditation. 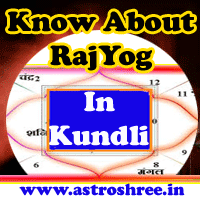 If moon is malefic in horoscope then do consult astrologer for right remedies. Do take blessings of goddess and females in family. 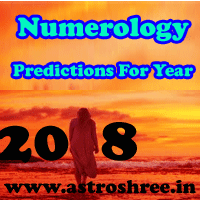 How will be 2018 as per numerology, 2018 numerology predictions?